Do you remember the moment that sparked your passion for science? That time as a bright eyed youngster when your jaw dropped with awe at the wonders of the natural world? These memorable moments are often created because something or someone helped us see extraordinary elements of nature as an accessible part of our everyday lives. Through public engagement, we have the opportunity to enthuse the next generation of young ecologists, as well as the adults who become the supportive driver of children’s interests. To contribute to this mission, the BES teamed up with Eureka! The National Children’s Museum, West Yorkshire, to share the wonder of ecology for British Science Week (8 – 17 March 2019). Identify your audience and adapt a key message to make your material relevant to them. Tell a story with a hook to grab attention, a hold to keep interest, and a reveal at the end to create excitement. Fresh from the training, BES members returned to Eureka! for British Science Week. Alex Hamer and Marina Semchenko from the University of Manchester brought soil to life with their travelling Soil Safari, with microscopes allowing a glimpse at the hidden but abundant life beneath our feet. 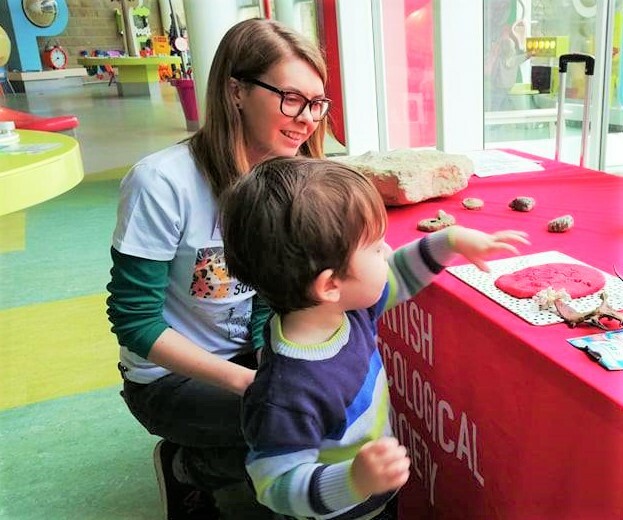 Emma Cartledge (University of Liverpool) helped children discover how footprints and scats are used to identify wildlife living around us, and Bethany Allen (University of Leeds) really got into her ‘prehistoric’ stride. “Following advice from our training, I wanted to bring something ‘out of the ordinary’ to our stand, so I managed to borrow a real dinosaur footprint for the day!”. The opportunity to touch a REAL dinosaur footprint certainly wowed the crowds (and other demonstrators…). But why do we do this? Demonstrating the impact of our work is becoming an ever-more essential component of ecological professions, with public engagement a core mode of delivering that impact. Science communication is thus an integral professional component of our work, in addition to being a hugely rewarding personal experience. As was reinforced by our time at Eureka!, we can all evoke joy and fascination in the natural world by making our science relevant. We can create those memorable moments for the younger generation. We have the opportunity to ignite a spark. The knowledge and enthusiasm of our members forms the core of our public engagement programme. 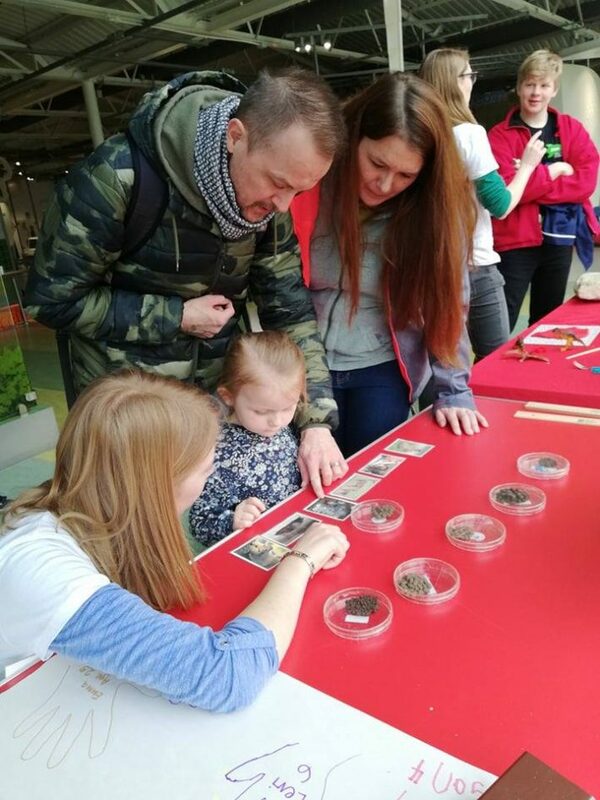 Find more information on our public engagement page to discover how the BES can support you to ‘share the excitement and relevance of ecology’ through event volunteering, funding and provide training opportunities in a range of science communication skills.